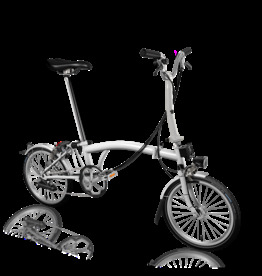 Brompton folding bikes are made in London and renowned for folding within 20 seconds into a shape roughly 24" x 24" x 12". This one is Papyrus White. 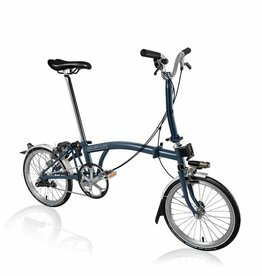 Brompton folding bikes are made in London and renowned for folding within 20 seconds into a shape roughly 24" x 24" x 12". This one is Red and Papyrus White. Brompton folding bikes are made in London and renowned for folding within 20 seconds into a shape roughly 24" x 24" x 12". This one is Hot Pink. 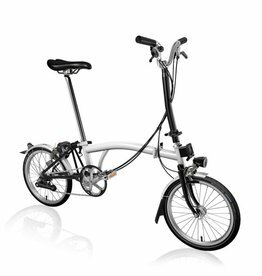 Brompton folding bikes are made in London and renowned for folding within 20 seconds into a shape roughly 24" x 24" x 12". 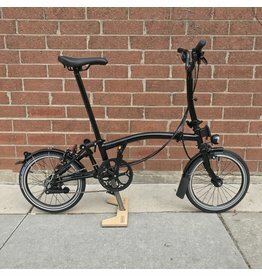 This one is a Black Edition.